While pinching your nose and clamping your mouth shut to contain a forceful sneeze may be part of the workplace etiquette, it can rupture the throat, doctors have warned. Ear, nose, and throat (ENT) specialists at the University Hospitals of Leicester NHS Trust warned that trying to withhold a forceful sneeze should be avoided as it could lead to “numerous complications”. 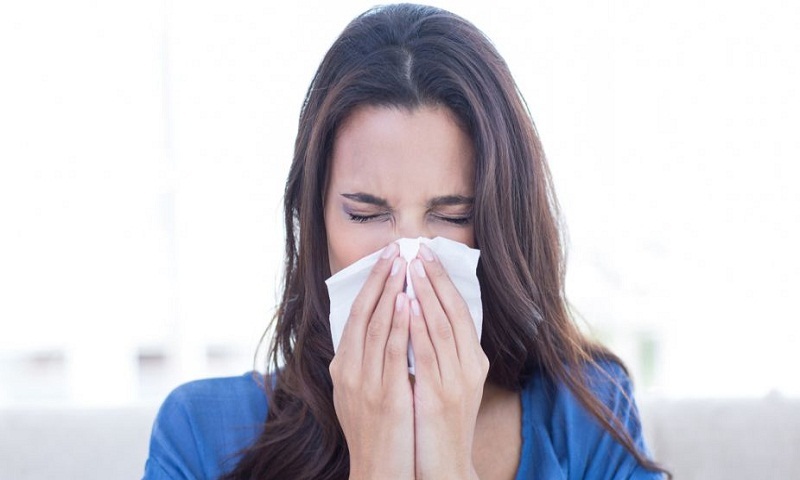 “Halting sneezing via blocking (the) nostrils and mouth is a dangerous maneuver, and should be avoided,” said researchers including Sudip Das, an ENT specialist at the hospital. In the paper detailed in the journal BMJ Case Reports, they cited the case of a 34-year-old man, who ruptured the back of his throat during this maneuver, leaving him barely able to speak or swallow, and in considerable pain. The young man explained to doctors that he had developed a popping sensation in his neck which immediately swelled up after he tried to contain a forceful sneeze by pinching his nose and keeping his mouth clamped shut at the same time. A little later he found it extremely painful to swallow and also lost his voice. When the doctors examined him they heard popping and crackling sounds (crepitus), which extended from his neck all the way down to his ribcage — a sure sign that air bubbles had found their way into the deep tissue and muscles of the chest, which was subsequently confirmed by a computed tomography scan. “It may lead to numerous complications, such as pneumomediastinum (air trapped in the chest between both lungs), perforation of the tympanic membrane (perforated eardrum), and even rupture of a cerebral aneurysm (ballooning blood vessel in the brain),” the researchers explained. Because of the risk of serious complications, the man was admitted to a hospital, where he was fed by tube and given intravenous antibiotics until the swelling and pain had subsided. After seven days he was well enough to be discharged with the advice not to block both nostrils when sneezing in future, reports Ians.